Why can’t I send my email message? | Shane Grantham Consulting, Inc.
Why can’t I send my email message? Today I was sending an email message to a vendor when an error message appeared I’ve never seen, “HTTP error 502”. I tried again from another device and same error. A few hours later I realized my mail account had gone over quota of 250 MB for this mailbox. An examination of my default folders, Sent, Trash, and Junk, found 4570 messages in my Trash folder. These messages went back three years. They aren’t needed any longer so all were deleted. The Junk folder had 500 messages and once they were deleted, my quota problem was solved. My mail resumed to normal and I went about my day. 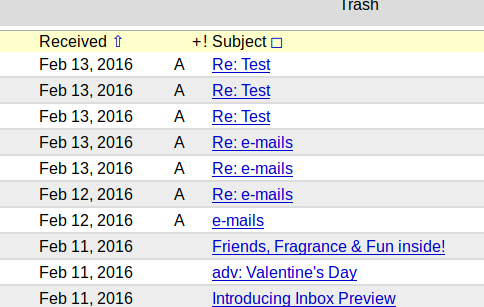 Remember, in most email programs, when you delete an email, it usually goes to the trash(or deleted) folder and still takes up space in your mailbox. I had messages going back three years that I no longer accessed or needed!